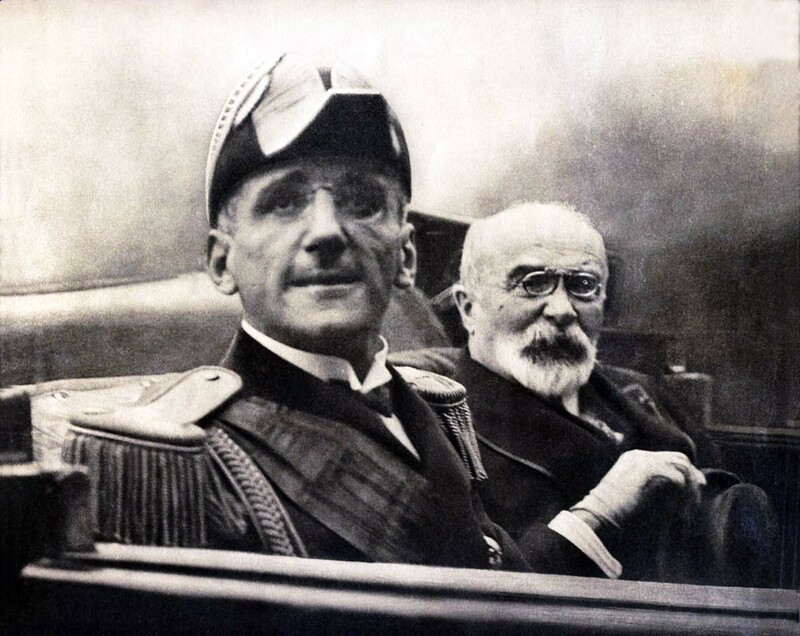 King Alexander I of Yugoslavia and Louis Barthou, French Foreign Minister, pictured on the day of their assassinations by Vlado Chernozemski, 1934. The assassination of Alexander, first King of Yugoslavians, by Vlado Chernozemski, an experienced marksman in the employ of the Internal Macedonian Revolutionary Organization (IMRO) would have been forgotten had it not been for the multitudes of still and reel cameras. It was the first political assassination to be caught on news cameras. As a result of the previous deaths of three family members on a Tuesday, Alexander refused to undertake any public functions on that day of the week. On Tuesday, 9 October 1934, however, he had no choice, as he was arriving in Marseilles to start a state visit to France, to strengthen the two countries’ alliance in the Little Entente. While Alexander was being slowly driven in a car through the streets along with French Foreign Minister Louis Barthou, a gunman — the Bulgarian Vlado Chernozemski, stepped from the street and shot the King twice and the chauffeur with a Mauser C96 semiautomatic pistol. Alexander died in the car, slumped backwards in the seat, with his eyes open. Barthou was badly wounded in the arm but died later due to inadequate medical treatment. The assassin, Vlado Chernozemski, was struck down with a sabre by a French mounted officer and beaten to death by the crowd or shot by the police or both, according to varying accounts. He was a 36-year-old Bulgarian who belonged to a Macedonian revolutionary organisation, which wanted to secede from Yugoslavia, and was allegedly in league with Croatian separatists, the Ustashas, who were backed by Benito Mussolini’s Italy. Sentenced to death for killing the leader of the Bulgarian Communist Party in 1924, but later freed in an amnesty, he had fought in numerous battles in Macedonia against the Serbian police. 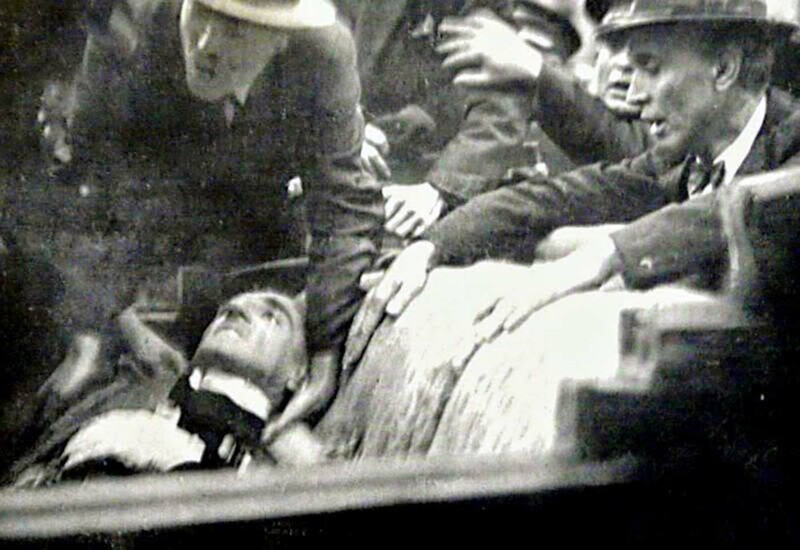 It was one of the first assassinations captured on film; the shooting occurred straight in front of the cameraman, who was only feet away at the time. Alexander died in the car, slumped backwards in the seat, with his eyes open. Barthou was badly wounded in the arm but died later due to inadequate medical treatment. King Alexander’s assassination was one of the first assassinations captured on film; the shooting occurred straight in front of the cameraman, who was only feet away at the time. While the exact moment of shooting was not captured on film, the events leading to the assassination and the immediate aftermath were. 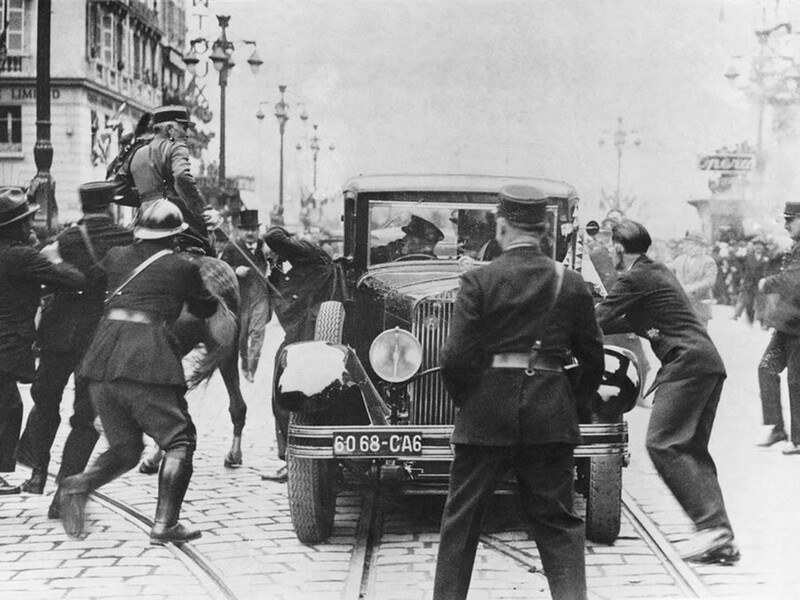 The body of the chauffeur (who had been killed instantly) became jammed against the brakes of the car, allowing the cameraman to continue filming from within inches of the King for a number of minutes afterwards. 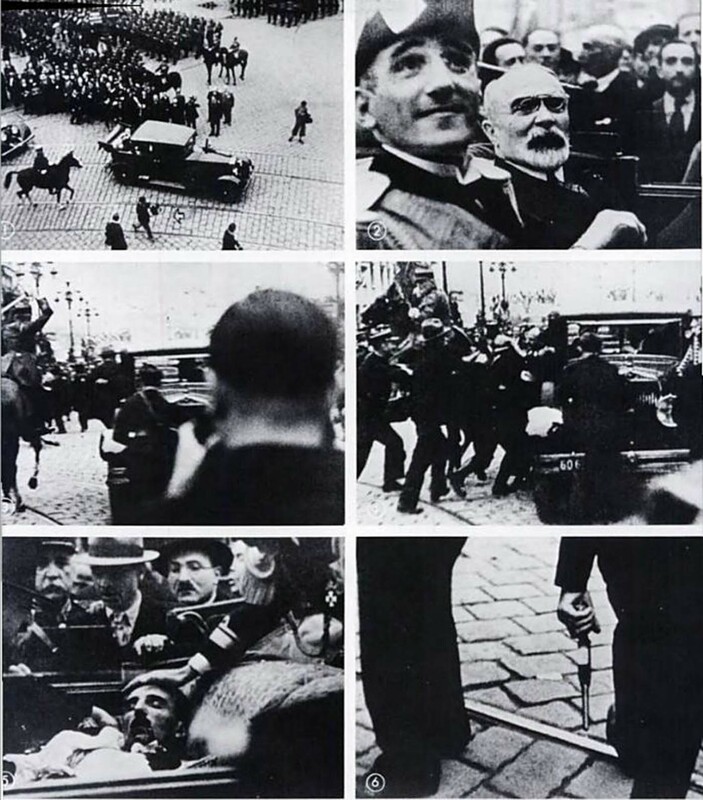 A 20th Century Fox newsreel presented by Lowell Thomas was manipulated in order to give the audience the impression that the assassination had been captured on film. Three identical gunshot sounds were added to the film afterwards, when in reality Chernozemski fired his handgun over ten times, killing or wounding a total of 15 people. A straw hat is shown on the ground, as if it belonged to the assassin, while in reality it did not. A Mauser C96 semi-automatic pistol with a 10-round magazine is shown as the assassination weapon, while the actual one had a 20-round magazine. The exact moment of assassination was never filmed. Lieutenant Colonel Poillet cuts down the assassin of King Alexander I of Yugoslavia. The gunman, who was identified as Vlado Chernozemski, was an agent of the Internal Macedonian Revolutionary Organisation and the Croatian movement, the Ustasa. The following day, the body of King Alexander I was transported back to the port of Split in Croatia by the Yugoslav destroyer JRM Dubrovnik. After a huge funeral in Belgrade attended by about 500,000 people and many leading European statesmen, Alexander was interred in the Memorial Church of St. George, which had been built by his father. The French police were unable to identify Vlado Chernozemski; they could only register his tattoo, a skull with crossbones and a sign reading “V.M.R.O.” (Bulgarian initials standing for Internal Macedonian Revolutionary Organization). He was buried in an unmarked grave in the Marseilles cemeteries with only two detectives and the gravediggers present at the funeral. Chernozemski is considered a hero in Bulgaria today, and in his time, in Croatian circles and in the Macedonian Bulgarian diaspora. His contribution to the independence of Macedonia has also won him a similar status in some ethnic Macedonian circles today. Unknown to the public, King Alexander I had a large heraldic eagle tattooed over his chest. In the First Balkan War in 1912, as commander of the First Army, Crown Prince Alexander fought victorious battles in Kumanovo and Bitola, and later in 1913, during the Second Balkan War, the Battle of Bregalnica. After the Turks’ withdrawal from Skopje, Prince Alexander was met with flowers by the local people. He stopped and asked 7-year-old girl, Vaska Zoicheva “What are you?” (Pa shta si ti?) When she replied “Bulgarian!” (Bugarka! ), the prince slapped her. This event spread quickly around Bulgaria. In 1920 and 1921, Serbian authorities searched for girl’s father, Danail Zoichev, and offered him money to announce the event as fictional, but he refused. Kind of like now, except with politicians.